Welcome to my tour review stop for Breath, Annie, Breath by Miranda Kenneally! I do really enjoy contemporary YA when it is done right. How do you do it right? Well, you have full characters that readers can connect to, a plot that is engaging, a different take on the genre, and plenty of heart. Breathe, Annie, Breathe definitely has these with Annie and Jeremiah and the other fabulous secondary characters. You have Annie training for a marathon and trying to move on after her boyfriend's death. Then there's Jeremiah, who is trying to partially let go of something he loves. The running log for Annie and her transition from graduating high school to beginning college and some serious emotions as Annie and Jeremiah learn when to hold back, when to push, and when to let go make this a great story! Breath, Annie, Breathe was just so heart-wrenching in places, so beautiful in others, and so sweet. I loved how Annie wasn't afraid to challenge Jeremiah and, in turn, he wasn't afraid to throw some things out there and to be there for her. I loved how honest they felt to me. Here Annie is throwing everything into being able to race a marathon for her deceased boyfriend and it's so hard. Jeremiah totally supports her and he's seen her at her absolute messiest and worst and still loves her anyway. It's a pretty rough starting point for a relationship, but that was another thing that endeared me to their story, how much they grew together and that they were friends first. Have you picked up any of Kenneally's Hundred Oaks books? 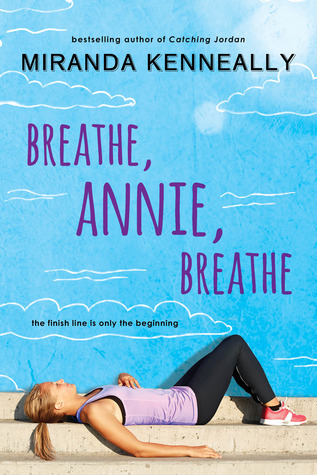 If you enjoy contemporary YA and don't mind the content, then you should, and I would say that Breath, Annie, Breathe is definitely a fabulous place to start and a great book from this series! Do you have to read them in order? It's ideal, but not necessary. The characters from the other books pop up, so it's kind of like seeing an old friend, but each book can easily stand on its own just as well. Content: There is some consistent language including some of the heavier words. There is also sexual content, mostly non-descriptive, making out, and innuendo. Source: From the tour host through NetGalley, which did not affect my review in any way. I haven't read any of your books yet, but this one has me interested. I'll have to give it a try. Thanks for the great giveaway. I wouldn't want to be a pirate - at least not one like Captain Hook. I would love to be a pirate! I can't say I'd want to be one like Hook, but I would like to be one like Jacky Faber (LA Meyer). Oh, what a terrible guilt to carry around! I always wanted to be a pirate. I haven't read the first book, but from your review, I'm going to start. So excited to read this one! It looks great! I usually dream a lot of talking w/ friends & family. I'll wake up & think I've had a conversation w/ that person & my jaw hurts. Ooh this sounds really good! I love the running aspect; I'm a runner training for my second marathon, so maybe this will help inspire me. Sounds like such a sweet book. A lot of your titles are new to me. I haven't seen a few of these titles before. For some reason, I usually dream of myself getting stuck in a bad situation, and a no-faced guy comes to save me from said bad situation. Sigh. Hi! I haven't read any of her books yet but this sounds like a fun romantic novel. I'd certainly like to read it. Thank-you for the chance! I am the same way. Sometimes I find a book I haven't seen before but ends up interesting me or can check back later to see what someone thought about a book I've read. Thanks for stopping by, Sherry! No I despise violence. I do like the old romantic Swashbuckler movies & "good" Pirates ho were more political rebels than simply Pirates. It was fun to see Jordan from Catching Jordan as well as some others. She just has a great way of writing and her characters are always so strong. I get sucked in every time. 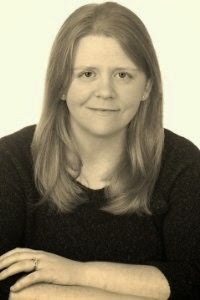 I hope you enjoy her books if you get to try them! It was and unnecessarily so, but I loved how the author let the MC work through it and wallow as well. It felt authentic. I hope you enjoy the author's books when you read them! I really enjoyed it. Just good characters and plot. Oooh. Perfect timing for you! There are some pretty honest parts of that in here and she puts some great humor in there too. Lol! I wish they were cleaner, but I have enjoyed the ones I've read and will read the others. I have connected with all her characters and there is always some good humor, but also some really good serious and sweet moments. Of course I wish they were cleaner, but I have enjoyed them. It was. It had some fun parts too! I hope you do like it. I'll have to catch your review to see what you end up thinking. Well, not like I think Captain Hook was. This story has a very different twist on him. I would agree, Elizabeth. I like the twist you have on that classic story. I hate the feeling of falling and then getting scared awake! Lol! That's how a lot of my dreams, at least when I remember them, are as well. Those would be nice dreams. I normally get up so quickly and have so much to do that I don't even really think about what I dreamed about. That is generally what I remember from my dreams as well. Oh, goodness! I did have a nightmare about separating from my husband after we'd only been married a couple of years and woke up crying and then was so weepy around him for a few days. It's funny because we're really stuck on each other, so it was a very unrealistic dream, but maybe that's what made it a nightmare. Ah, the dreams of kids. Thanks for sharing! I would too! I have had bad dreams about spiders. I do really not like them, so I'm sure that's why. What an interesting thing to dream about. Thanks for stopping by and sharing! Oh, goodness! That is not fun at all! Lol! That is hilarious!! Have you ever thought one of those conversations really happened in real life? I wonder if you really talk in your sleep too? I really hate the feel of falling when I'm dreaming! It always wakes me up. Sounds like a good series :) Thanks for the chance! I am always having horrible dreams. I don't remember anything good. How depressing! I will send some positive thoughts your way for some happy dreams. I dream of being back in high school,,,,,Don't ask me why, cuz I have no clue!!! lololol!!! Guess I need to start reading Miranda's books. Thanks for the introduction!! !